This week’s routinely timed maintenance will include a small patch. Next week’s maintenance and update will occur a day later than usual, on September 24th. You can get your hands on the exclusive [it-tells Rappy Suit] by participating in the following campaign! (1a) Register your account on it-tells and join the community. (1b) Have a character on your account at Lv. 50+ on PSO2. Both (1a) and (1b) need to be satisfied to qualify for the it-tells Rappy Suit. 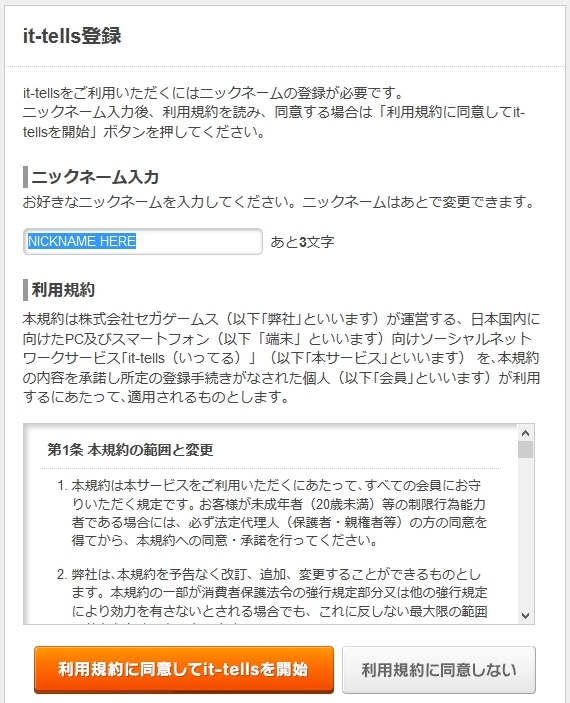 Head to the it-tells official site and enter your SEGA ID and パスワード PASSWORD in the two fields to the right. Push the orange ロギィン Login button to sign on. If you already have an it-tells user account, you can skip Step 2. On the registration page, you can enter your it-tells username (referred on this page as a ニックネーム nickname). Click the big orange button below to agree to the User Agreement. After signing in, you’ll reach the “Profile” page allowing you to fill in information or add an avatar. 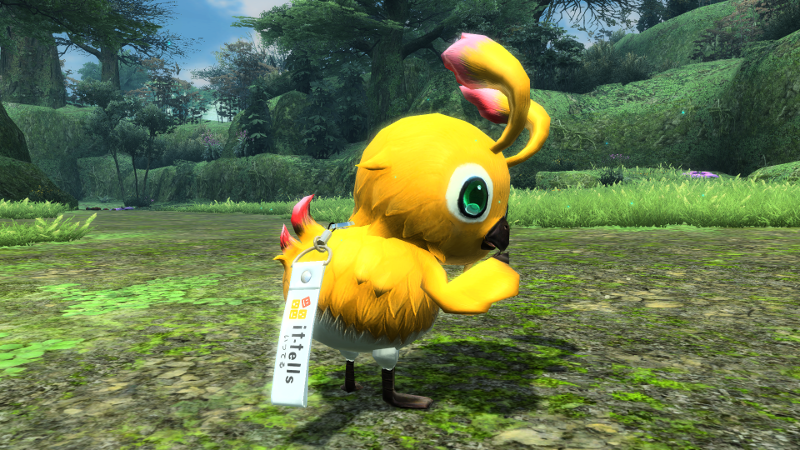 But for the sake of this tutorial, you will need to visit the “it-tells x PSO2 Campaign” page to qualify for the Rappy Suit. Click on the orange button to the right to join the community. Two dialog boxes will appear, push [はい] and then [OK] to complete the process. Afterwards, the bright orange button on the page should turn brown, indicating you’ve successfully joined the community. Those who’ve satisfied both requirements will receive this Rappy Suit in Mid-October. If you joined the community prior to the start of the campaign, you will also qualify for the prize. If you leave the community prior to the campaign deadline, you will stop satisfying the first condition. By purchasing select amounts of AC during the campaign period, you can receive various prizes! Players can earn rewards by completing the chosen client orders for Revelle and Girard! Available until January 6th, 2015’s maintenance. Relish in the long nights of Autumn with a new login campaign! Earn prizes by logging in a certain number of days during the campaign period. ※This campaign targets only PSO2 logins. PSO2es logins do not qualify for the campaign. Ah no ! I figured it out… since I removed the Logo Movies it downloaded 313mb of the patch…. Why do I have to download 6800 files again? I thought I will be a small patch? PSO2 Episode 1 & 2 Materials Collection Releases September 17th!